Lincolnshire earned the title of ‘Bomber County’ when the Headquarters of both 1 and 5 Groups and a third of all the UK’s stations were based in the county. This deep connection and linked history defined the location for the new centre on Canwick Hill in the north of the District. 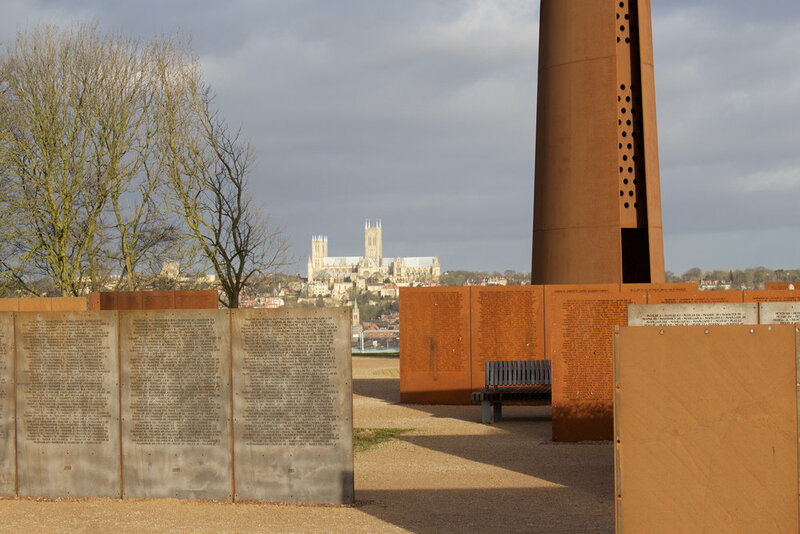 IBCC is the only single national or international facility that exists to commemorate Bomber Command. 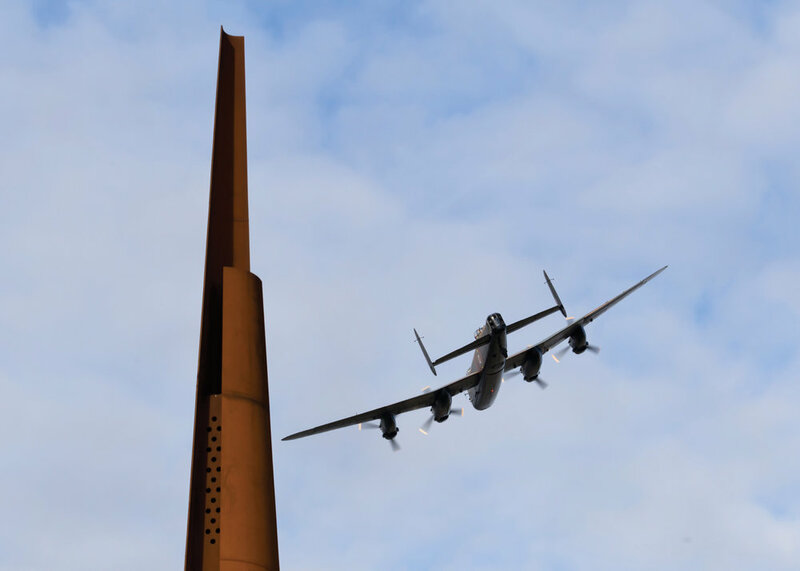 The height of the memorial spire is the wingspan of the Avro Lancaster and the centre tells the history and heritage of Bomber Command for present and future generations through interactive displays and an extensive digital archive. Concession rates are available – concessions cover those who are over 65 and disabled visitors. In line with many national, charity run heritage sites, the IBCC has to charge for parking to ensure that the ongoing maintenance of the Memorial, Gardens and grounds is funded. This ensures that these facilities can be made freely accessible to everyone. Motorcycles are free to park – there are designated areas. Bicycle racks are also provided.